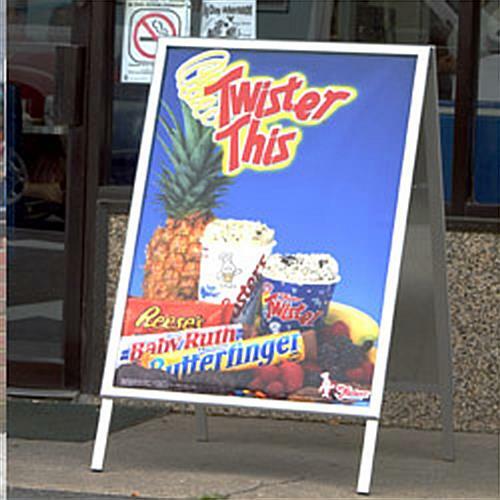 This two-sided A-frame sign is made as a sidewalk display that holds two 30” x 40” posters. 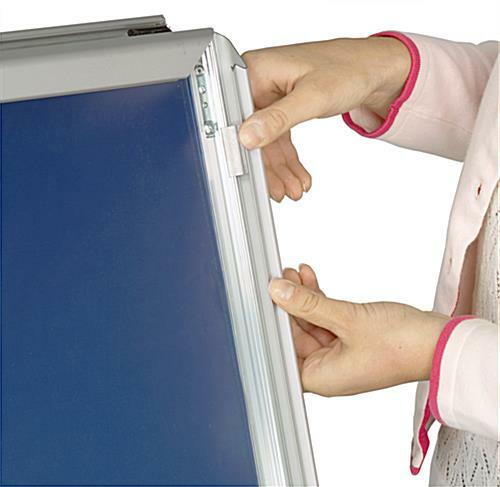 The portable sandwich board is made of aluminum and has a folding design so it is easily brought inside when your business is closed or in bad weather. 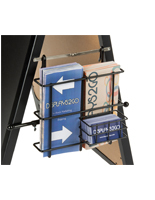 The A-frame sign with silver finish will coordinate with any outdoor décor and complement many promotional graphics. 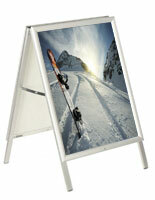 The sandwich board is ideal for placing next to your entrance to help draw in customers and get your company noticed. The sign comes with PVC lens on either side to protect the images in your sidewalk display from damage and to help with glare. 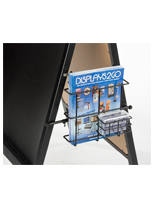 Snap open sides on each side of the portable holder also help make image changes quick and easy. Please Note: Product is not intended for use in harsh weather, including high winds, rainstorms, or snow storms. 25.3" x 47.0" x 33.5"